Reusable bags made from Jute have been in Europe & the UK for many years. Now they're starting to gain momentum in Australia & New Zealand. We're finding more & more of our customers are drawn to the benefits of Jute. 1) Jute fibres are 100% Bio-degradable. Put then in the ground & they're turned back to soil in a matter of weeks. 2) Jute plants grow extraordinarily fast. Plants can reach maturity for harvest in a few months. 3) No herbicides or pesticides are used for farming. Somehow Jute manages to protect itself without any outside assistance from chemicals. 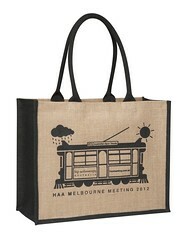 4) Jute Bags are extremely strong & durable for all manner of uses. Shopping is the primary use, but there are plenty of others. What else do you need to know about Jute?